Excellent Service. Mo was able to get us a car after having nothing but issues with our Chevy Traxx. The experience was super easy and no stress! I will definitely recommend to anyone looking to get a car! Everyone was super friendly and very helpful. Definitely a one stop shop. Michelle the office manager was also extremely helpful for getting the insurance and switching my registration. Absolutely excellent experience!! They are excellent and helped me get a vehicle considering I just got discharged from bankruptcy. The staff respected my opinion,listened and did not try to up sell..Talked to me about financial options and did not force me to do anything I was not comfortable doing.Great experience. From the moment I walked into this establishment, I was treated with respect. Very professional setting with engaging employees. Found the vehicle I didn't know I wanted...with the guidance from Brittany and Clayton. Absolutely love my Tucson. Wonderful experience and will again be purchasing vehicles down the road from House of cars!!! Much appreciation!!! 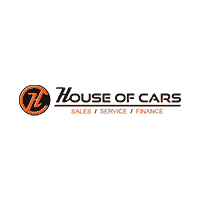 I just bought a vehicle from House of Cars. Joseph was so very helpful from start to finish. He made this experiance a very positive one. I would recommend using Joseph for your vehicle purchase. Definitely great service! They went above and beyond for me. Thanks guys! !